Your contact information is saved inside your personal business card. You can easily attach it to your e-mail so that the recipients can add you to their own contacts. Your Contacts automatically contain an entry for you. This "Contact" is also your personal digital business card. You can attach your digital business card to your e-mail so that the recipients can quickly and easily add you to their own Contacts. 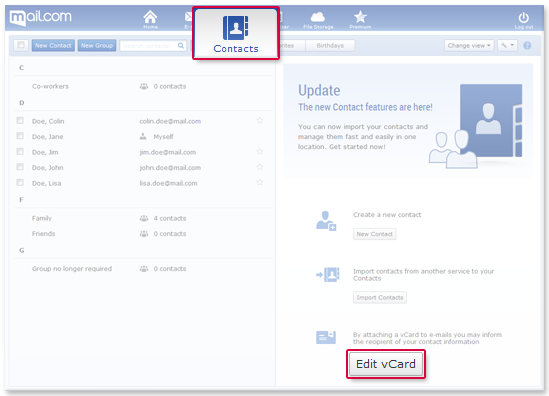 Open your Contacts and click the Edit vCard button. Edit the entry like a normal contact.